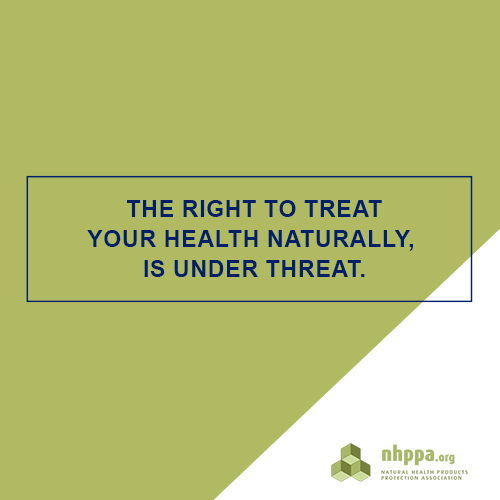 NHPPA’S ANALYSES OF GOVERNMENT LEGISLATION HAVE BEEN THE CATALYST FOR CANADA’S NATIONAL REBELLION FOR HEALTH FREEDOM. Since the introduction, during 2008, of sister Bills C-51 and C-52, Shawn Buckley and the NHPPA have produced the discussions which moved a nation to observe and understand the meaning of legislation which might otherwise have passed without citizen and industry opposition. These views were considered radical then but are now acknowledged and accepted as expert critiques from the grass roots to Senate. Based on expert knowledge of the constitution, criminal and civil law, each attempt by Health Canada to bypass Canadians’ rights has been examined and explained. To know where we are, it is vital to understand how we arrived here. Legislation presented to Parliament in the form of a Bill is a complex and dense document. Couched in legal terminology and laid out in ways which make for difficult reading, these documents are not easy for the lay person to interpret. Even many MPs, unless they have had extensive legal training, may find it difficult to understand the detailed effects of a new Bill without assistance. A Discussion Paper is written to stimulate discussion. It is a set of observations and comments designed to bring otherwise obscure issues to the surface. Discussion papers open up legal wording to the light of analysis and debate. They allow us all to join the conversation. The Discussion Papers and Analyses that follow contain the opinions, thoughts and comments of constitutional and criminal lawyer Shawn Buckley. They are the foundations that sparked a national movement that guided Canadians’ thinking about government control in our lives, independence, individual freedom and the most significant principle of our democracy, the Rule of Law. The Discussion Papers and Analyses that follow are listed in reverse chronological order, that is, beginning with the most recent. This piece, written in January 2019, is Shawn Buckley’s opinion paper concerning the “evidence” provided by Health Canada to support the proposed Self-Care Framework to group Natural Health Products (NHPs) and non-prescription chemical drugs under a single set of regulations. The purpose of the paper is to reveal the names of the people responsible for the change and to show the documents they relied upon to bring about this change. The intention of this Bill is to move the existing definition of natural health product as found in the Natural Health Product Regulations into the Food and Drugs Act so that Parliament’s intention in Vanessa’s Law is not undermined. Parliament was clear when passing Vanessa’s Law, that the powers and penalties for chemical drugs were not to apply to NHPs. Parliament’s intention will be undermined with the imposition of the powers and penalties on NHPs by Health Canada’s proposed regulatory changes within the Self-Care Framework. Faced with Health Canada’s newly proposed repeal of the current Canadian Natural Health Produce Regulations, Shawn Buckley offers his expert analysis of the proposed changes. This is a must-read document for anyone who believes in freedom of choice. Since it’s creation in 2008, no one could have predicted that the Charter would become more necessary as the years went by. Yet, it has. In this paper, written in 2016, Shawn clearly defines the timing of meaningful action, the significant threat posed by the proposed changes to the current regulations, the unfair consultation process and what the changes may really mean to the Natural Health Product industry, natural health practitioners and consumers. During the Spring of 2013, the citizens of Canada sent a copy of the Charter of Health Freedom to every Federal MP for consideration and comment. Many of their replies to citizens were forwarded to NHPPA for comment. Shawn Buckley analyzed the letters for common themes, and compiled his observations to assist both citizens and MPs in continuing the conversation. Although apparently designed to reign in Big Pharma, C-17 contains some significant potential problems which could affect the natural health industry in the future if not amended. Whether or not these consequences for NHPs are intended is unknown, however the Bill also contains significant constitutional issues for the conventional medical industry, such as the lack of safeguards for confidential information and the removal of court supervision for Health Canada’s actions. Introduced in March, 2012, Bill C-38 makes some significant amendments to the Food and Drugs Act that will affect consumers and the natural health industry. Further, there was no review by the Standing Committee on Health. There were three attempts to pass the original sister Bill to C-51, extending Health Canada’s unsupervised powers to Consumer Products. The discussion papers raise issues of Canadians’ Charter rights and freedoms and explain the Rule of Law. On April 8, 2008, the Minister of Health introduced Bill C-51 into the House of Commons. Bill C-51 proposed changes to the legal landscape for the natural health product industry. Bill C-51 provides Health Canada with unprecedented powers such as the power to seize and detain product, equipment and property for any reason and for any length of time and can destroy seized property without Court supervision. This discussion paper analyses the intent of proposed changes to the Food and Drugs Act with regard to their effect on Natural Health Products.